Home maintenance tasks, especially those that involve cleaning, are rarely pleasant. It’s in your best interest as a homeowner to execute these tasks properly. 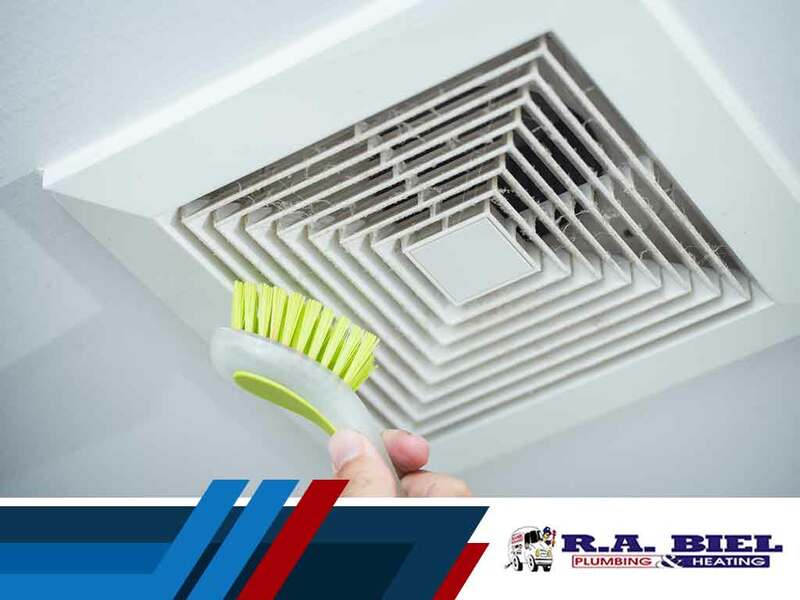 In today’s post, HVAC maintenance expert R.A. Biel Plumbing and Heating, Inc. lends a hand by talking about the safe and proper way to clean your air ducts. Before you take on your air duct cleaning endeavor, it’s important to prepare all the materials you will need for the task at hand. Being well-prepared ensures the smooth flow of the process. You will need the following: furnace filter, vacuum, stiff-bristled paintbrush, screwdriver (depending on the type of screw heads your air ducts have), pliers, paper towels, long broom, a bucket for debris collection, absorbent rags, flashlight or helmet flashlight, and an appropriate type of ladder. You should first locate all the air ducts in your home. Move or cover any furniture near the ducts to avoid getting dust or dirt on them. Secure a stable surface and ladder if your vents are located in high areas such as ceilings. Cover the supply registers with paper towels so excess dust won’t settle back into the room during the air duct cleaning process. Turn the fan on. You don’t have to activate the heating and cooling modes of your thermostat. Simply leave the fan running. Lastly, wear comfortable clothing. Don’t forget to cover your nose and mouth with a mask. Start by making sure the furnace filter isn’t missing or damaged. Next, use your bristle brush on the ducts to knock the dust off. Check all the components of your HVAC system. Shut off power to the components as needed. Go through the whole cleaning process systematically. It might take the whole day, so leave your schedule free, or ask a family member to help out. Under no circumstances should you attempt to clean mold-ridden vents. It’s best to call the professionals in such cases. R.A. Biel Plumbing and Heating, Inc. provides efficient air duct cleaning. We also offer HVAC repair services. You may call us at (505) 672-7888 or (970) 884-3358.